I Tell You (or I could tell you) the unique stories out there and around us. I Tell You Oilcoin: The Virtual Currency Based Oil Price. Former Commissioner of the US Commodity Futures Commission (US), Bart Chilton, has a desire to combine digital currency but is regulated. Reported by Reuters, he worked with a group of former TPG executives. 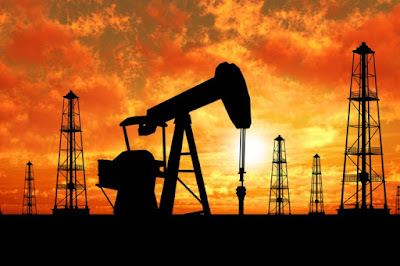 They will launch a virtual currency whose value follows the price of oil. This currency is promised to have a stable value, it will not be like bitcoin that last few days move very wild. Later, these currencies will be traded on special trading exchanges. Chilton is a hard-line self-proclaimed law enforcer he also wrote in September related to virtual currency. Then he also encouraged research into the very fast price of bitcoin movements this year. With its virtual currency product, it wants to make this digital commodity better. The product is OilCoin, which is a virtual token supported by physical commodities. OilCoin will refer to applicable terms and regulations in the US. This virtual currency can later be used to buy oil and oil related products. It aims, to keep the price of any OilCoin trade to approach the price of crude oil. Chilton rate, investors need a new way to 'play' in the oil market is very volatile. OilCoin will offer tax advantages. Investors only have to pay value-added tax when they sell, this is different from the annual tax on other investment instruments. In addition, OilCoin is also considered to be more stable than other crypto currencies. This is because he is supported by assets and not trust digitally. Unlike bitcoin that rises about US $ 6,000 in one week. But not yet have clarity in the market. The news relating to the new virtual currency comes a few days after Venezuelan President Nicolas Maduro said that a struggling economy would launch an eye backed by oil prices. 0 Response to "I Tell You Oilcoin: The Virtual Currency Based Oil Price"